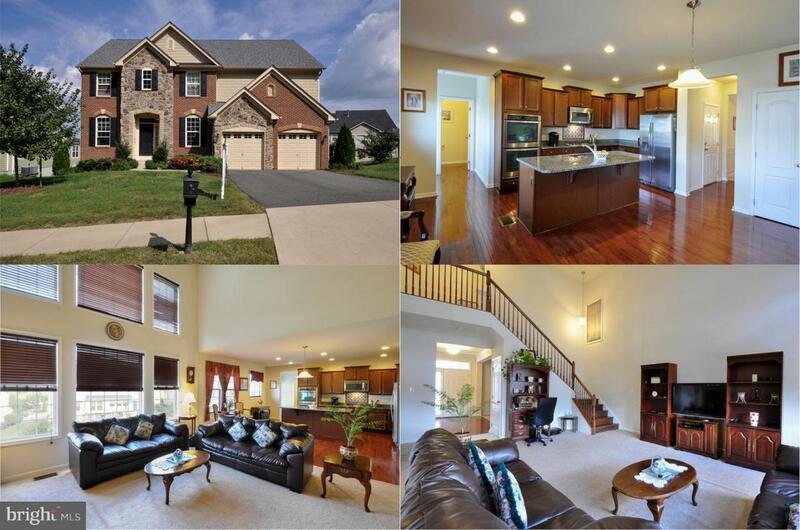 5 Darden Court, STAFFORD, VA 22554 (#1008353960) :: Eng Garcia Grant & Co.
Beautiful 5 BR, 3.5 BA colonial w/3 car tandem garage in desirable Hills of Aquia! Bright open floor plan, hdwds, 9' ceilings, moldings, formal LR & DR. Dramatic 2 story family room opens to gourmet kitchen w/maple cabinets, granite, custom backsplash & SS appls! MBR has luxury BA w/sep shower & soak tub! Sun filled walk out LL has huge rec rm, 5th BR, full BA. Easy access to 95, Rt. 1, Quantico!